At the Academy of Art of Highland Park and Gallery, Inc. (AAHP), we warmly welcome all thinkers and doers and their very different modes of learning. We teach all students individually at all times, so as to acknowledge, protect, and enhance the individual’s mode of approaching the plastic arts. We don’t believe in talent. Neither did Maestros Da Vinci, Michelangelo, Cezzane, Degas, and countless others at the top. Like our Maestros, we believe only in enthusiasm and hard work. We train our member artists to become strong observers, committed explorers, and sharp creative problem-solvers. The AAHP is a training studio, not a recreational facility; it is the equivalent of a conservatory of music. Though our child, teen, and adult practitioners never like to leave class, each and every class is cognitively and intellectually demanding, from start to finish. ...has the ability to make eye contact with others, even authority figures. ...presents an audible, responsive voice. ...has the courage to ask questions. ...has the courage to act in a totally new way. ...presents a healthy sense of self. ...displays a love of exploratory action into an unknown region. ...feels excited to show another person what he or she is learning. ...places trust in the learning situation and feels safe with it. ...can allow for "failure" (we teach that unexpected outcomes help make you stronger). A strong learner has begun to develop the following skills and sense-abilities by age 5, even before joining the studio. The strong learner is he or she who continues developing these top 10 learning skills and sense-abilities throughout life. Many approaches to learning presume that learning is centered on intellectual life; our model asserts that learning is based on emotional life, and is founded on such matters as a sense of safety, trust, courage, and joy, among other things. When these things are available to the learner, then deep learning will follow. * These caveats do not apply to our special needs artists, who are taught under a different curriculum and pedagogy. If needing to discuss your individual learning needs with us prior to registration, please contact us at art14@artacademynj.com. Please note that we also have another email address for confidential matters, aahpconfidential@gmail.com. I have reviewed the top 10 learning skills the studio presumes to find in the newly-registered student. I can vouch that I (or the person that I am registering) can already exercise such learning skills at age-appropriate levels. Enrolling as a student at the AAHP entails acknowledgment and compliance with our Student/Client Agreement. Please read and agree with the document below. View the AAHP's Client Agreement of Policies, Terms, and Conditions below. It is Student/Student Representative's responsibility to notify AAHP of changes to registration information including, but not limited to, changes to emergency contact information, health concerns, and any other important information. Please use the Student Information Update Form to notify us of any of these changes. class before registering for a full Session. Before you can register fully, please sign up here for your free class. Please note this schedule is subject to change on short notice. Please note that a course is not the same as a class. A course may span more than one year if the student attends studio at only the minimum 1-hour per week. Meanwhile, classes for any course take place weekly. This registration form lets you select your preferred weekly class slot (or slots) of your preference, not a course. Your course selection and progression through the AAHP syllabi will be personally tailored just for you through ongoing conversations with our Chief and Senior Instructors. All students new to the AAHP begin with the multi-year foundational Drawing Course. Children (5-12) Teens (13-19) Adults (20+) Portfolio Prep Program (P3) (only for students that have initiated the portfolio process). Please note Portfolio students MUST attend 2 hours per week minimum. Class options below are based on current availability. be able to attend if your first choice is not available. 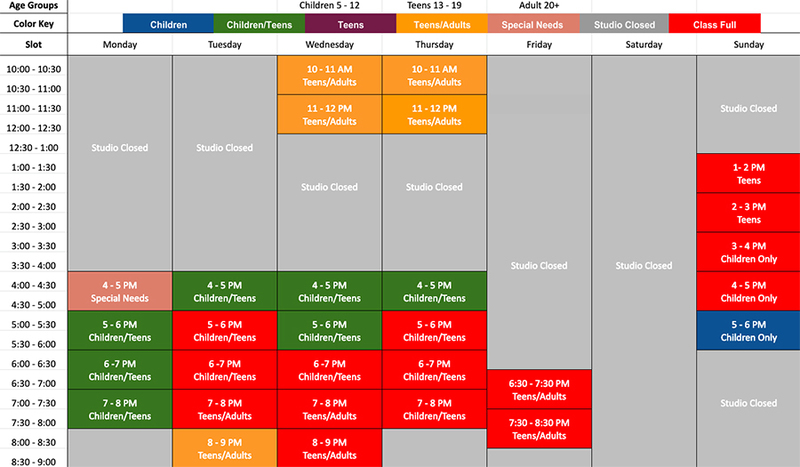 Would you like to schedule any additional weekly class slots? If so, how many? No thank you, I do not want to schedule any more classes at this time. Yes, I would like to schedule a second class. Yes, I would like to schedule a second and third class. *Adding class time is not the same as adding an additional course. You indicated that you would like to schedule more than two courses/classes. Due to limitations of this form's software, you are only able to request your second class slots through it. However, because you indicated that you would like to schedule more than two classes, you will be contacted by the AAHP to list the rest. P3 Students please use the Additional Course Interests section below to list other class slots you'd like to schedule. You must check "I am interested in a second course" and fill out the explanation section. The AAHP places all students into our established course progression. All students begin with Drawing. Indicate here if you would like to explore another course syllabus in addition to the one you are currently on or just beginning. Keep in mind you must continue to work through your current course syllabus as well. I am interested in a second course. List additional requests or comments regarding your preferred classes/courses. The AAHP proudly provides the highest quality art materials to all students at all times. Please click here to view further details on discounts on the AAHP website (will open in new window). Your credit card/debit card will be charged a $0.50 (50 cents) transaction fee upon completion of this form. This charge is required in order for the billing systems to record your data. Once the AAHP accounting department processes your registration, your credit card/debit card will be charged for tuition based on your course selections, according the rate chart above. Late fees and other charges may also apply at this time. Please ensure that all billing information matches credit card information. that your credit card company has on file for you. Please no spaces or dashes when entering your credit card number.